Become the next big viral person on the net. You’ve seen it on TV! 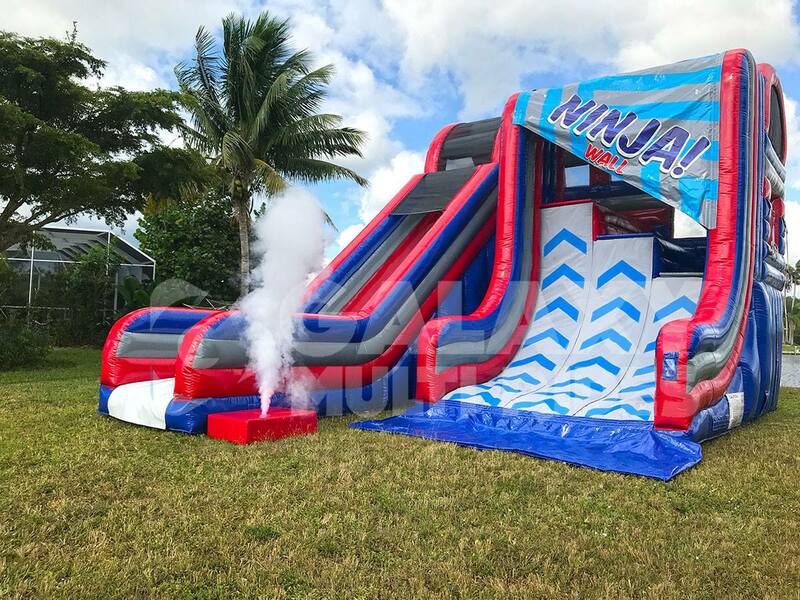 Our amazing Ninja Warrior Warped Wall rental is one of the most challenging obstacles in a Ninja obstacle course – and now you can have it at your next big event! The inflatable warped wall features three different height levels so that you can adjust your climbing difficulty. See the Ninja Warrior Warped Wall in action! Be sure to watch both videos. 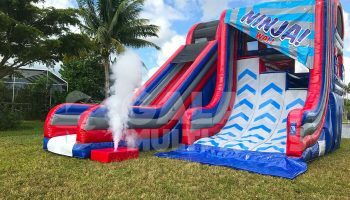 Take your game show Ninja Warrior skills to the test with this brand new inflatable warped wall rental. Once you have made it up the warped wall you will want to reward yourself and conquer the inflatable slide on the way down. Non slip vinyl ensures you have enough grip to make it to the top! 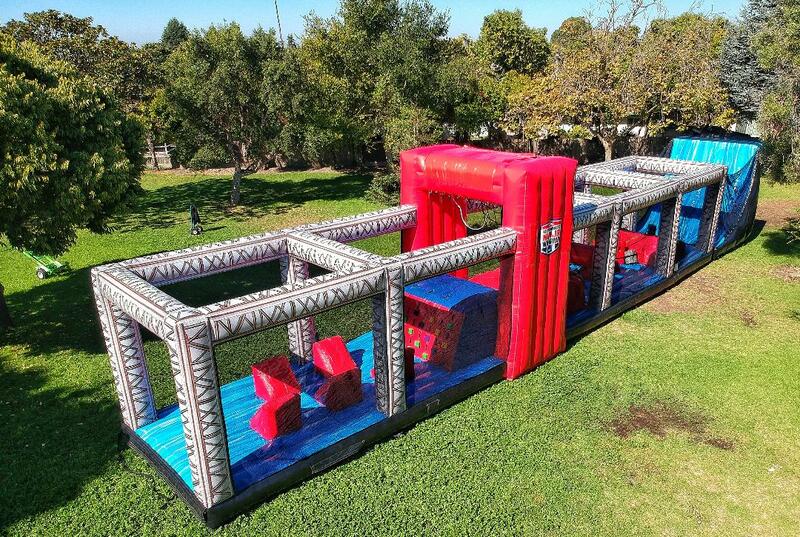 This rental is the perfect rental for guests of all ages who want to put their climbing wall skills to the test and is the perfect addition to any carnival, inflatable obstacle course, or picnic. 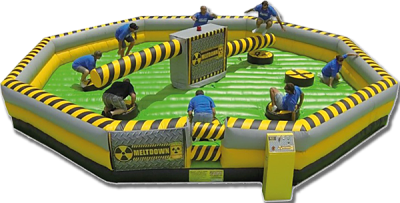 We deliver all our inflatable obstacle courses with complete set up and take down. Add a staff monitor to your event to make this safe and fun at your next event. 1-8 players stand on elevated platforms and try out their ninja warrior skills. If the spinning log comes rotating by you and knocks you off you are eliminated from that round of competition. If your Ninja Warrior skills are good our trained operator can speed up the speed to make the game more competitive. 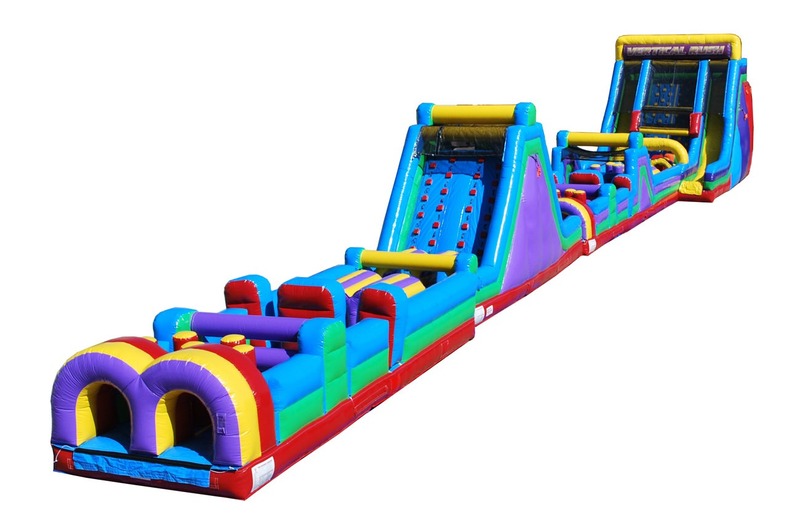 o tame The Inflatable Beast you will be challenged with tunnels, pop ups, inflatable rock walls, to making your way down the Giant Vertical Rush Double Lane Slide. WILL YOU BE ABLE TO CONQUER THE BEAST?